Tower Defense games are the most addicting games on mobile devices. Fortunately, there are many top quality android tower defense games available since the beginning, and the list is rising day by day. Some of these tower defense games are splendid and available free. This time we brought you the best time killing tower defense 2017 game that is Hooman Invaders. A Hooman invader is based on the game play where you build up your defense and fight against the hordes of invaders using magical spells and tower power. You are to collect 12 unique towers and some deadly magic spells, upgrade your tower and spell collection, using the rewards that you get after each successful defense against the invaders. 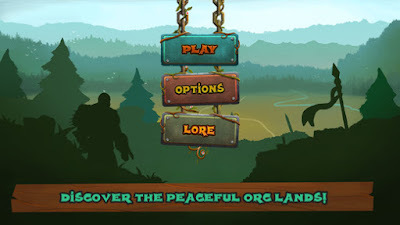 The game features brilliant 3D graphics, multiple strategy elements, and the freedom to design your own battleground. There is also a leader board, which make the game play more challenging and try more hard to be at the top. There is a lot of content with this game, you’ll have to finish, and upgrades are in progress to add more to make your tower defense journey everlasting. Use your best strategies and restore the peace to your land. Enjoy this free tower defense ios webgl game that is challenging and looks great. Game is definitely worth to install and you will enjoy playing it!